You are here: Home » About » What Can Prevent You From Getting The Most For Your Florida Hurricane Insurance Claim? Clearly it is not in your insurance company’s best interest to pay out large amounts on hurricane damage claims and they specialize in finding ways to minimize their liability. So what do you need to watch out for that can prevent you from getting full compensation to restore your property fully to its state prior to any hurricane damage? Firstly you need to make sure that you have a homeowners insurance policy that fully covers you for all possible damage that you could suffer from a hurricane striking your Florida property. This includes wind and flood damage as well as full coverage for your valuables. An attorney can help you review and understand your insurance policy and make sure you have the optimal coverage. When your Florida property has been damaged by a hurricane it is essential to already have a plan in place and to know what to do and who to contact. An experienced attorney can help you from beginning to end to make sure you do not jeopardize your claim and ensure your claim is filed correctly. If not completed correctly your claim can be shoved to the bottom of the pile or you could find yourself going around in circles. Time is of the essence. After a hurricane, insurance companies will be flooded with calls and claims so getting yours in early is crucial to receiving timely service and compensation. So called independent adjusters sent out by your insurance company work to save the company as much money as possible and minimize payouts. Speak with an attorney prior to meeting with the adjuster and discuss the need for a truly independent adjuster. The adjuster game is designed to wear you down and get you to accept a lower amount than you could actually be entitled too. When a hurricane hits Florida you can expect contractors to raise prices dramatically and that the cost of building materials will soar. So while going back and forth between the insurance company you could find that the difference between what you are being offered and what it will cost to repair your property widening rapidly, while at the same time the waiting time to get your property repaired and grow rapidly. 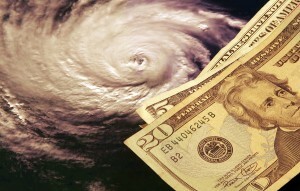 Not getting fully compensated for hurricane damages that you deserve is not just about penny pinching and trying to get a few extra dollars out of your insurance company. Unless you receive full compensation and receive it timely you could easily find that you are unable to repair your property, your property continues to degrade and you could even fall behind on your mortgage payments and find that you are at risk of losing your home altogether. Do not take the possibility of incurring hurricane damage and needing to approach filing an insurance claim with care lightly. This is your home, most likely the biggest investment you will ever make, get the best advice and help you possibly can.